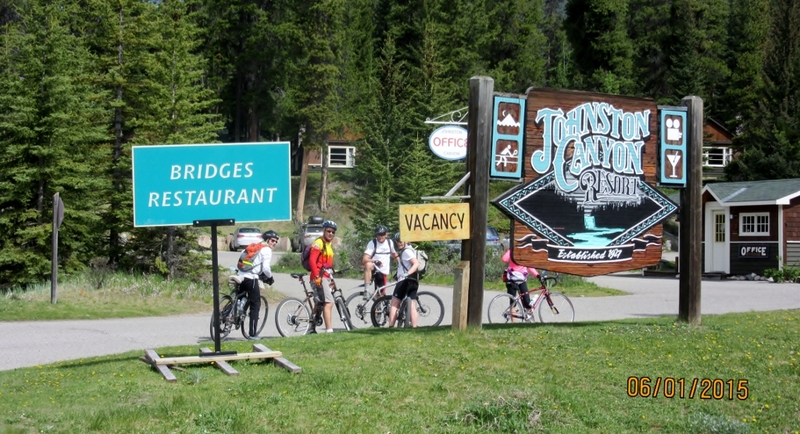 What a beautiful day to cycle from Banff to Castle Mountain junction on the old 1A hwy now called the Bow Valley Parkway. The six of us met at the Fenlands Rec Center in Banff. 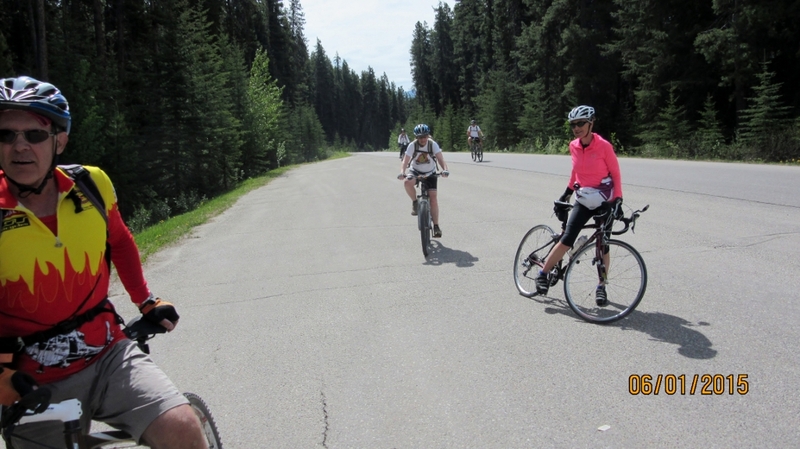 The bike trail is across the road and it leads to Vermillion Lakes and then up to the under pass of Hwy 1 to 1A. 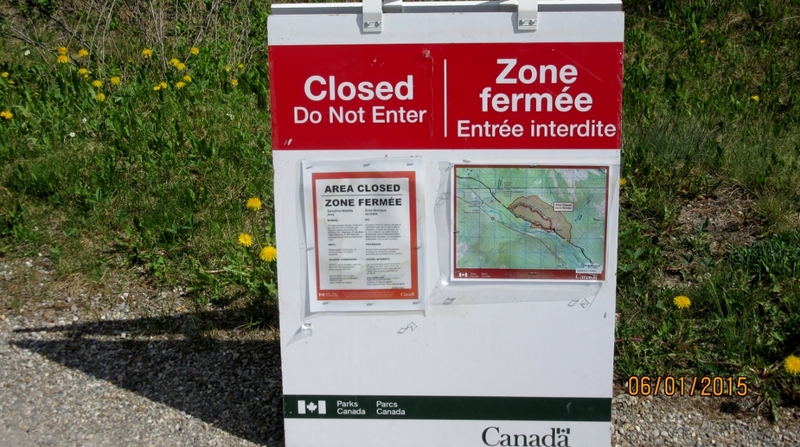 unfortunately parks Canada failed to put a closure notice at the start of the Vermillion Lakes road. So we cycled to near the end of the road only to find our progress stopped by a bear closure barrier. Back to the Norquay overpass and a dangerous ride along TCH to the underpass. 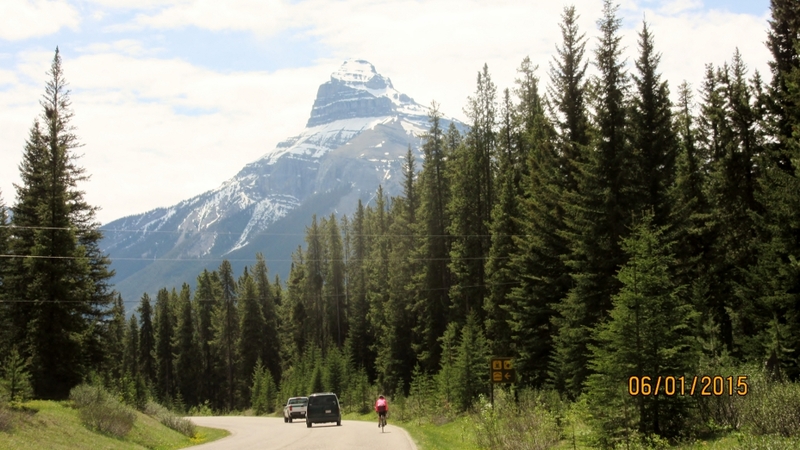 This is one of the many bear warning closures along the Bow Valley Parkway. We did in fact see two black bears along the way. One was on the way back and it was a very large bear walking up the road. It did not amble back into the bush untill we all made a lot of noise from a safe distance. Bear spray at the ready we all gingerly set off down the road making lot of noise until we were sure we were passed. 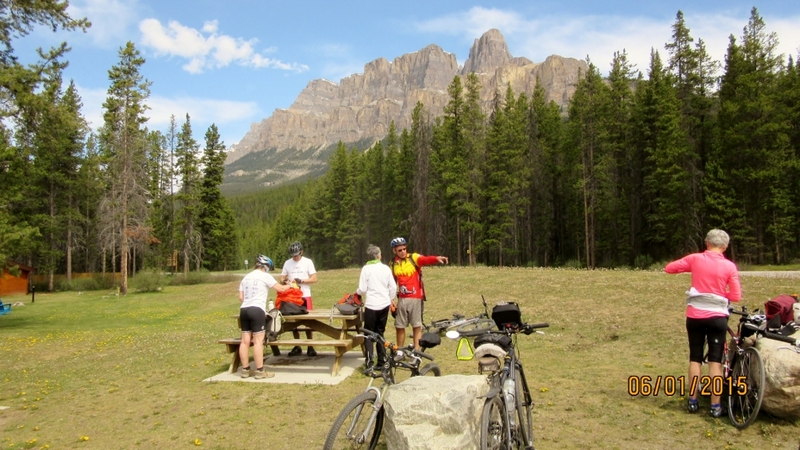 Distance from the Rec Center 30km to Castle Mountain 60km Total Time 5hrs with the detour and lunch. 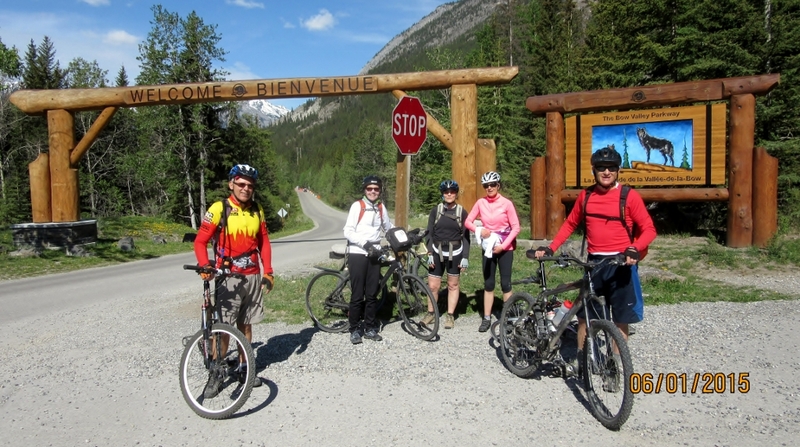 Loved your summary of the bike ride and sharing it with those who joined us. Doing the back half on July 16th and hope you can come.